I have spent most of my life on Deerpark Road. I served my time with Eugene Doyle at 59 Deerpark Road over 50 years ago, before taking over the running of the shop in 1972. Soon after this, I moved down the road to 67 Deerpark Road. We have tried to stay with the traditional style of butchering through the years. All our butchers are fully qualified craft butchers. We still buy in full sides of beef and full lambs. We break down the beef and lamb ourselves so we are able to control the ageing process of the meat to our satisfaction. 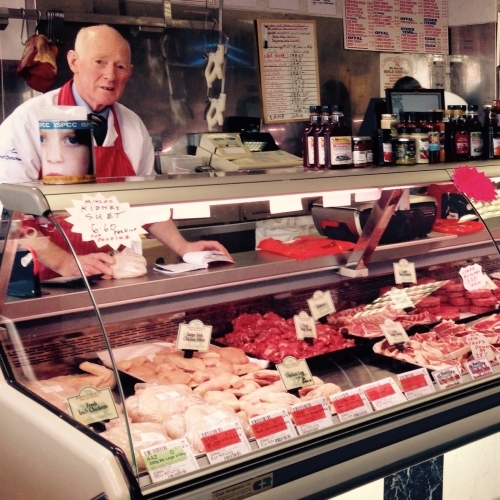 We operate a very strict traceability code and can trace all our products from farm to plate.